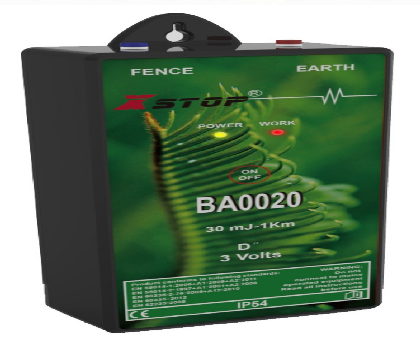 This Xstop® BA0020 Small Battery Low Impedance Fence Energizer can be operated by D-cell battery. Convenient, portable and quick to set up.Ideal for providing portable power of short term animal control in remote areas without reliable mains power. An easily transportable and smaller battery energizer kit ideal for your garden and Safer tent areas. Can be used for Temporary Electric Fencing. Looking for ideal Electric Fence Controller with 3V Battery Manufacturer & supplier ? We have a wide selection at great prices to help you get creative. All the Smaller Battery Fence Charger are quality guaranteed. We are China Origin Factory of Fence Energizer for Pet. If you have any question, please feel free to contact us.